Shingles is a viral infection that causes a painful rash usually on left or right side of your torso. Some symptoms of shingles include pain, burning, numbness, tingling, itching, and blisters that break open and crust over. 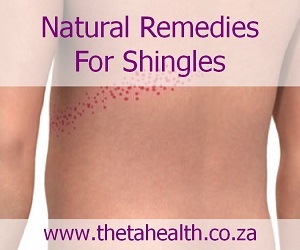 Try one of our natural remedies for shingles. We have health products, creams, vitamin and herbal supplements for the shingles virus.